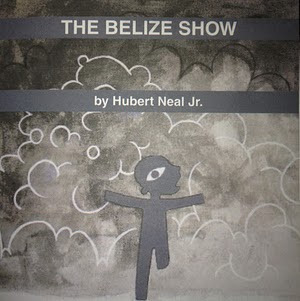 The Belize Show, an exhibition of paintings and photographs by Belizean artist Hubert Neal, Jr. will be opening at the Image Factory in Belize City on Friday, January 13th, 2012. In 2010 Neal exhibited the Dudes Chronicles in Jamaica, a show that delivered chunks of reality and vindicated for me that early 21st century visual art can still evoke high grade potency. The Silent Scream painting is part Edvard Munch on a bridge and Usain Bolt on the global track; a marriage of violence and victory. Here in Belize City, January 2012 we introduce Neal, an artist dropping in on his hometown full of visual gems for his exhibit "The Belize Show". For the record, Belize saw 138 murders in 2010 and 125 in 2011, so the backdrop for this show is brutal, but we cannot give up on art, and certainly not on the alert, attentive and compulsively readable works of Herbert Neal Jr.
We know that the lifespan of a fact is shrinking so we must rely on the visual artist to help with the process of decoding the mix tape of data flying pass our retinas. Neal's new works offer a raw vision of the contemporary. He reminds us that new libraries are now indexed on You Tube, Cable Television and Facebook. 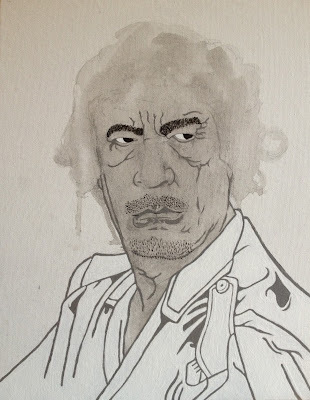 Notice how Neal captures Muammar Gaddafi in the painting the Arab Spring and Fall Pt. 1 as a clenched fist buried in the desert culvert, a vague reference to his real time execution. 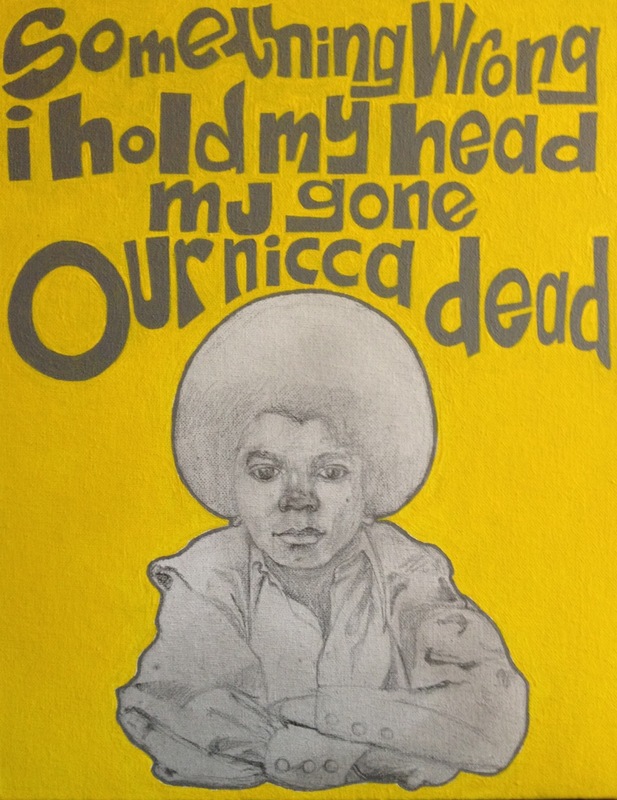 In his Michael Jackson painting, MJ Gone we stare on the innocent boy from Gary, Indiana book ended when by a distortion of a quote from Kanye West's song-All of the Lights. Clearly Neal is happy with drawing and graphic. The photograph titled The Dancehall, Kingston, Jamaica is an intense moment between man and woman. Yes it is intimate, but it is worth paying attention to the man's face, the care and concentration he has in what appears a dangerous split second in the couples choreography. "When you are an artist you are already driven. It is not just what we do, but a way of life. We make art because we need to. It is as vital as oxygen. We would die (inside) without it".